It is September 21, and today is the day that summer ends and autumn officially begins. For people of the earth, it is a holy day of special observance. I vividly recall the equinox of September, 1996 when Doris and I were invited to participate in a celebration at a home in Sedona, Arizona. We gathered with a lot of people in a large room on an upper floor that had a large glass ceiling. With the lights down low we could look up at the stars. People were playing strange music on strange instruments and drums and there was singing. It was a most unusual and once-in-a-lifetime event. Afterward a few of us gathered at a local restaurant to top off the night’s events with some ice cream. Suddenly there was a loud clap of thunder and all of the lights in the city went out. We sat in the restaurant in total darkness as police and fire sirens pierced the night sky. I remember everybody was laughing at the strange night. We realized that we were having a severe rainstorm just outside. We were informed that it was the beginning of the monsoon season in Arizona. It was a night to remember. It was one of the many magical events that occurred during the brief time we experienced the joy of living in Sedona. We always wanted to go back but I know this will never be. One other interesting thing I remember about the autumn equinox. I heard a Detroit radio guest say that at the right time of the day, at exactly the time the sun is at zenith over the Equator, thus balancing the gravitational pull of the Earth, it is possible to stand an egg on its end and have it remain there. I remember trying it but was never able to get that egg to stand up. Has anybody else ever done it? 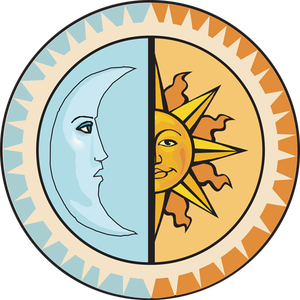 The other neat thing about the equinox is that the night is exactly the same length as the day. Everything on the Earth is exactly equal for a few magical minutes on this day. In Australia, in the Southern Hemisphere, folks are celebrating the opposite equinox. For them it is the beginning of autumn.